This unique villa sits on a? ?large private plot inside a 5* development? ?with its own private electric gate entrance and high wall surrounds that give a real sense of privacy with all the benefits of being part of the development. The entrance leads to a covered car port alongside the beautiful mature tropical garden and the large private swimming pool. Next to the pool is the terrace with easy access from both outdoor and indoor areas. 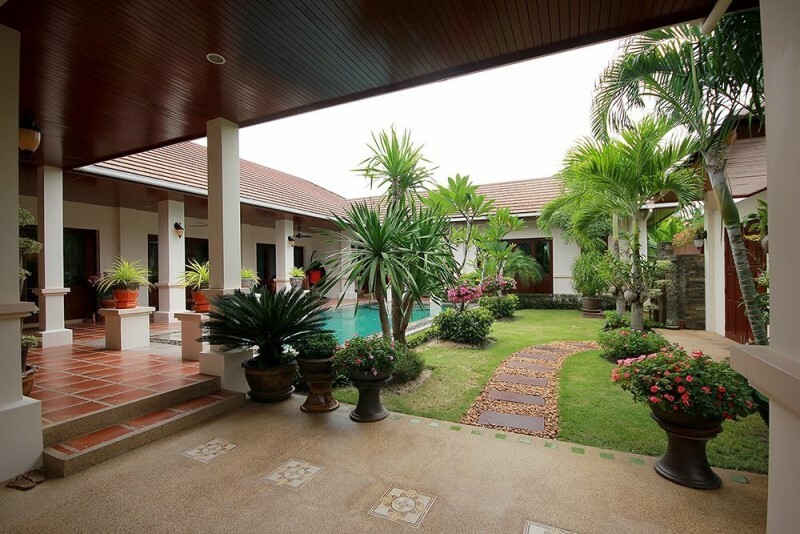 Among the mature trees and tasteful landscaping is the gorgeous villa with the large terrace areas. 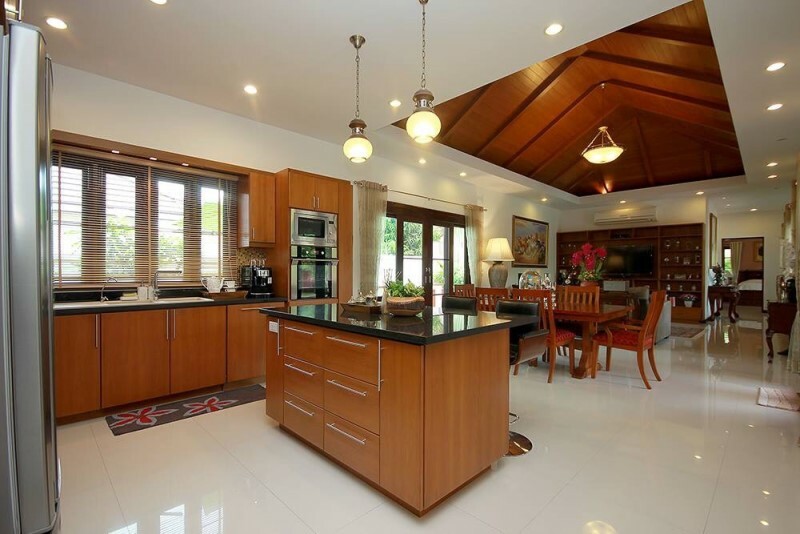 Inside the kitchen is a real stunner in terms of appearance, functionality and quality of appliances. Highlighted by a large island and surrounded by custom built units for more than ample storage and plenty of work surfaces. 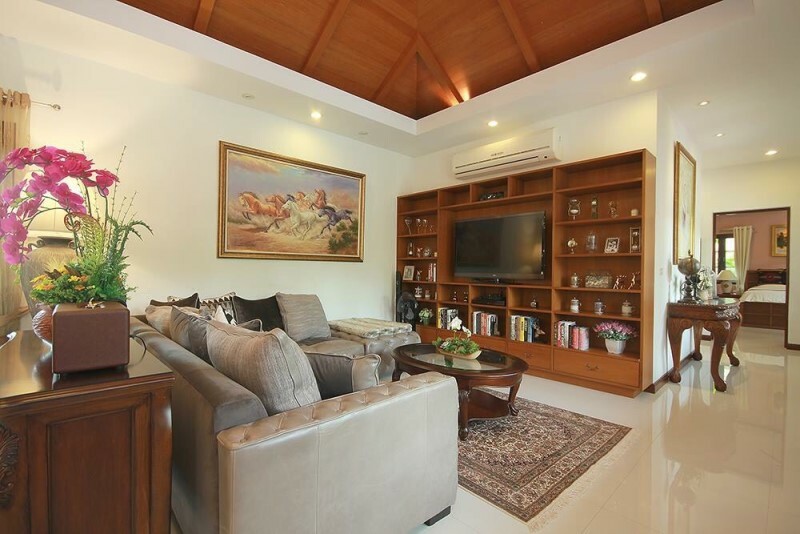 The main internal living area is open plan with high wooden ceilings, dining area and entertainment area with large flat screen TV and tasteful decor throughout. This is an extremely spacious area which is functional as well as comfortable and set in luxury designed and quality interior surroundings. The four bedrooms are all very luxurious designed, and as with all other rooms, have air-conditioning and ceiling fans. Walk straight from bedrooms to the terrace for a coffee to get refreshed first thing! 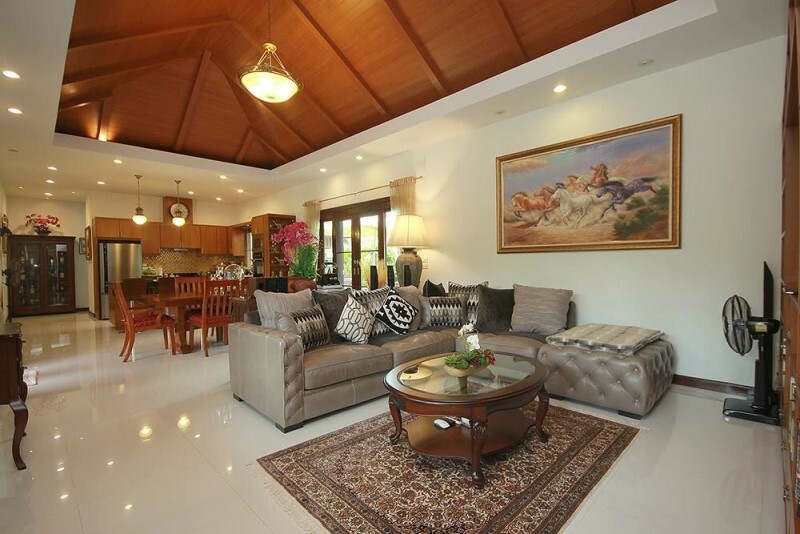 This is a great opportunity to purchase your own private paradise in Thailand. The property is owned on a chanod title.